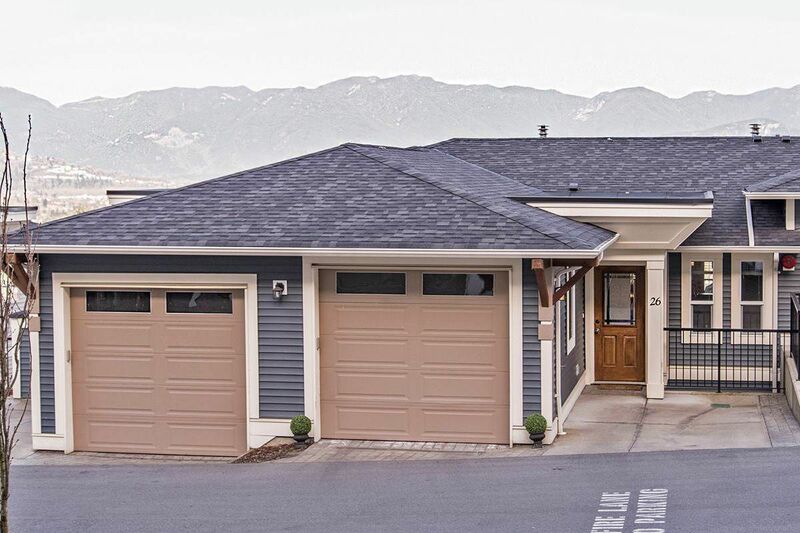 PROMONTORY HEIGHTS, executive rancher style townhome for sale in a small exclusive, niche complex of Promontory Heights. Over 1600 fully finished sq.ft. covering three spacious levels. Panoramic valley and mountain views form every floor pair nicely with the high end finishings used throughout. Open concept kitchen, stainless steel appliances and ample cupboard space. All 3 bedrooms come complete with their own ensuite for when company comes over. Walk-in closets, large sundecks, all topped off with a huge fenced yard for rover. A place fit for royalty!